Today the eyes of many people around the world have been focused on Washington, DC, as (http://www.fcc.gov/events/open-commission-meeting-february-2015) the U.S. Federal Communications Committee (FCC) held an Open Meeting where they voted on a Report and Order around “Protecting and Promoting the Open Internet”. More commonly known as the ruling on “Network Neutrality”, the vote today represents what is a potentially major shift in the longstanding policy of the United States with regard to regulation of Internet services. The Internet Society has always supported the fundamental values of a global, open Internet grounded in transparency, access and choice. We believe that openness should be the guiding principle that continues to enable the success and growth of the Internet. The goals of the U.S. Federal Communication Commission’s (FCC) Open Internet Order – providing U.S. consumers with meaningful transparency, addressing concerns over blocking and discrimination, clarifying the role of reasonable network management, and enabling the permissionless innovation that has led to the success of the Internet today – are all really important. However, if we look at this in light of a range of proposals around the world that aim to apply policies designed for telecommunications networks and services to the Internet, we consider it possible that such an approach could result in the opposite consequences. We realize that there are unique legislative and procedural challenges in the U.S., but we are concerned with the FCC’s decision to base new rules for the modern Internet on decades-old telephone regulations designed for a very different technological era. Regulatory approaches that could affect the sustainability of the global, open Internet need to take into account the technical reality of how networks are operated and managed. Allowing the necessary technological flexibility to keep pace with rapid innovation is integral to ensuring the continued growth and success of the Internet. We believe we need to be careful that this flexibility is not undermined by the use of a regulatory framework designed to govern the old telecommunications system. The explosive innovation that has occurred over the last two decades has allowed for communities across the world to participate in and benefit from connectivity, both socially and economically. Promoting Internet access and availability is integral to the success of our digital future, and global public policies should continue to be guided by (http://www.internetsociety.org/internet-invariants-what-really-matters) the fundamentals that have contributed to the Internet’s growth. We believe a regulatory paradigm ill-suited for the current and future Internet ecosystem could have severe implications on this continued success. As a global organization, we recognize that the FCC’s decision today applies only to the United States, but we also realize that other nations may look to the FCC’s ruling as a model for their own regulations. For that reason it’s critical to us that regulations of this nature be compatible with the principles that have led to the innovation and opportunity that are the hallmarks of today’s global Internet. We know that these are complex issues and that working to maintain the benefits of an open Internet presents us all with an ongoing challenge. We look forward to reviewing the full text of the FCC’s Order once it’s released. Lynn St. Amour, President of the Internet Society, has been invited to provide framing remarks at the upcoming FCC Open Internet Workshop on Innovation, Investment, and the Open Internet tomorrow, Wednesday, January 13 at 16:30 EST (23:30 UTC) at the MIT Media Lab in Cambridge, Massachusetts. ISOC-NY Members are encouraged to contribute to the discussion. ISOC-NY Poll – Do you support Net Neutrality? There have been two recent NYC events that have pitched supporters and opponents of Net Neutrality against each other – the TechDebate and the NYC Council Public Hearing. The FCC has mooted its six principles of net neutrality And Rep. Ed Markey has introduced the new bill H.R. 3458 aka the ‘Internet Freedom Preservation Act of 2009′ in Congress. For their part, Republicans have come up with two opposing bills. As noted in the Council hearing the Internet Society’s stance on this matter is somewhat neutral, suggesting that regulators concentrate on optimizing user choice. Where do you stand? Please click the link below to vote! In July the FCC announced that, in the context of a its own broadband planning, it had commissioned the Berkman Center to do a study of the state of broadband development worldwide. and policy from around the world – has just been published. The FCC is asking for comments before Nov 16. At the recent Free Press Summit” in Washington DC, FP Research Director S. Derek Turner addressed the topic of Internet Policy. His theme, detailed in his report Dismantling Digital Deregulation: Toward a National Broadband Strategy, was that the deregulatory policies in the 1976 Telecom Act, intended to increase competition, have been so abused by the incumbents as to have had the opposite effect. 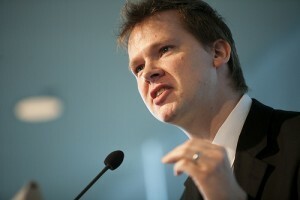 He argues that the public interest can only be served by a corresponding tilt back into regulation. Transcript | Audio. | Video is below. Freepress is strongly advocating the public to encourage the FCC to approve WSDs. An AP article reports that Kevin Martin, head of the Federal Communications Commission, will recommend that Comcast be punished for violating agency principles that guarantee customers open access to the Internet. Martin will circulate an order recommending enforcement action against the company on Friday among his fellow commissioners, who will vote on the measure at an open meeting on Aug. 1. Pike & Fischer’s 4th annual Broadband Policy Summit is being held in Washington DC yesterday and today. Mar 27: Comcast and BitTorrent today issued a joint press-release where they announced a collaborative effort to move beyond the current ‘reset spoofing‘ hooha. While Comcast will migrate by year-end 2008 to a capacity management technique that is “protocol agnostic”, BitTorrent agreed to develop fresh “optimizations” that will promoted as application standards.